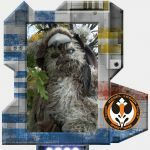 Rebel Legion :: View topic - Creature Fur Sale - wampas, ewoks, etc. Posted: Sun Nov 29, 2015 7:03 pm Post subject: Creature Fur Sale - wampas, ewoks, etc. For those looking for a good deal on amazing fur this is the place I got my striped Logray fur. Plenty of nice, shaggy, distressed looking fur that is all water washable! DISCLAIMER: I hope it's ok to post this here, I don't get a commission for referrals. Just trying to help.